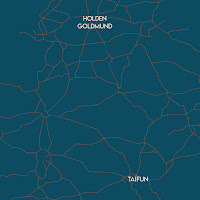 WoNoBloG: Taïfun - Holden Goldmund split 12"
Two bands that I had never heard of and it proves inconsequential. The music the two bands presents is of the mesmerising kind. Songs that are sort of mysterious, in which a lot is happening. Liking Motorpsycho does not mean that songs have to be 10 or 20 minutes. The bands on this split album manage to make their points in a lot less, but never under three. The trick is done in the way the instruments weave in and out of each other, the layering of sounds, the attack in the songs and of the songs. The point gets made, period. Taïfun is around since 2005 and has released several records since then. As I said there's nothing to compare for me, so I can only sing the praise of these four songs. And there is a lot to praise. Let me start with the last song of the four, 'Whales'. Here Taïfun builds a cathedral of music and breaks it down again, brick by brick. In sound the song reminds me of TMGS without the hardrocking part. The mood and build up are just like some of the loudest TMGS songs. So that is a major plus. The instrumental, long intro lets all band members go full out. Rocking, pumping, whaling, the struggle between whale and human, in the old days, may be reproduced here musically. As if when all get tired and it is unclear who's gonna win, the song collapses within it self and the singing comes in after over 4.30 minutes. The voices of Frank Malsano and Pete Marshall sing close together. The only thing lacking is a final statement. 'Whales' just peters out unexpectedly. For the rest the Liège based band created a winner here. The fun started about 16 minutes before with the alternative rocker 'Boomerang'. With a hint at psychedelia. The singing wavers between ghosts and zombies, while the guitars play some interesting lines that move out in all sorts of directions. "We move around, around into the dark" is the final line, underscoring the mystery hanging over 'Boomerang'. Motorpsycho comes out strongest in 'Heart of Hearts'. The dark, strongly overdriven bass guitar, the wobbly lead guitar and the change within the song. Classic Motorpsycho. Taïfun shows that an inventive band can capture a lot in just 3.32". Holden Goldmund is more of a band for the occasion. Singer/guitarist Jacco van Elst is the heart of the band, who also plays in This Leo Sunrise and The Fire Harvest. Together with bass player Matthijs Thomassen and drummer Dave Mollen he recorded four songs late spring 2018. The first gig was only in October of 2018. The contrast with a band like Taïfun is rather large. But friendship is friendship. Hence this release. There is a contrast in music as well. Holden Goldmund is a trio and sounds like one. The mystery in the songs is the common denominator. The major difference is in the way the songs are presented. Holden Goldmund is far more subtle and less direct. The effect is not in the technical prowess of the playing and layering of songs, but in the atmosphere and openness of the songs. Something that is a result, most likely, of being able to record four songs over a period of six months and do it all in one day. The great fun of this split album is that both bands totally succeed and convince in what they present. 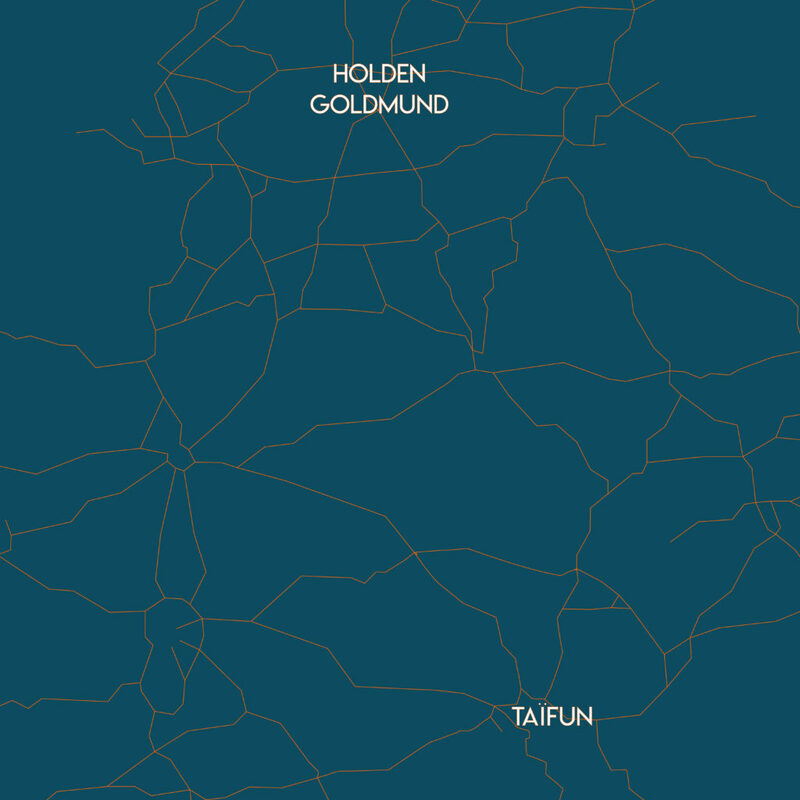 In Holden Goldmund all three musicians play an equal role. The drums, bass and guitar all come forward as equal partners in the songs. Every detail in the playing is audible with ease. Listen to 'Feet' and it is instantly audible what I mean. The fine drumming of Mollen shows through in every second of the song, the bass is an entity on its own and the guitar supports Van Elst's singing, until at the end it is allowed to take off in a fiery solo. 'Table Tale' is an alternative ballad. The aim is not beauty, but the effect on me is the same. Van Elst sings in a deeper register than a ballad usually holds. "I know so little of these things". The wonder of that line shows through in the whole song. It wanders on, without ever finding what it may be looking for, without knowing what it is looking for even perhaps. The result is a beautiful song that captures me instantly. The EP ends with an alternative pop song. 'The Drunk' comes close to what a band like Maggie Brown does, but with a dangerous edge, making it just this little harder to digest, but no less so interesting. Summing up, I hear two very different bands that somehow wanted to release music together. Does it really fit together? My primal inclination is no, yet when I turn over that 12" record, I get engrossed immediately by the other band, The final verdict has to be yes.